I was eight years old when Super Metroid was released on the Super Nintendo. It was an influential game for me, as it forever changed how I look at games, because after running, jumping, and gunning through the game's massive two-dimensional world, I got to the end of the credits, which ceremoniously – and surprisingly – dropped a completion time in the center of the screen. Wait... this was timed? How fast could the game be completed? How fast can I beat it? These were the kinds of questions an eight-year-old boy immediately begins asking, as his whole worldview of games comes crashing down because of a clock. Prior to this moment, games, for me, were mastered by simply completing them. High scores were a concept I was familiar with, but speed? This was completely foreign to me. This Earth-shattering moment was not a singular incident specific to just me. As it turns out, many people found similar experiences in other games that then led to the desire to see just how fast players could complete their favorite games, which then turned into ritual. I am now twenty-nine years old and there are handfuls of small Internet-based communities dedicated to this tradition called "Speedrunning." I first met Dan Fitzgerald through game conventions. He is a game developer living in Chicago, but like any curious gamer in college, he experimented a bit, dabbling in speedrunning. "Speedrunning is playing a game to some measure of completion as fast as possible," Dan describes. He also adds that, "…perhaps the most familiar kind of speedrun is an RTA (Real Time Attack,) which means the game is played by a human, by hand – also, typically, any exploits that exist in the game as it was released are fair game." This is an important distinction to make in the speedrunning community: Technology has enabled runners to utilize computer tools to assist them when doing more complicated maneuvers in a game. This performance-enhanced playing via technology – a Tool Assisted Speedrun, or "TAS" – isn't without controversy and is important to keep in mind when either observing or playing. In essence, though, there are two major types of speedruns: 100 percent and Any-percent. While 100 percent is somewhat self-explanatory, it basically means that a speedrunner beat the game while collecting all the game objects (think: Super Mario 64 and getting all the Stars as fast as you can). Any-percent is oftentimes the more exciting, because, as Dan explains, they "…are rife with exploits – sequence breaks, movement glitches, out-of-bounds" and so – all in an effort to simply get to the end credits as fast as possible. A great example of this, according to Dan, is of the classic Nintendo 64 game Legend of Zelda: Ocarina of Time, because while traditionally played this game takes several hours to complete, the world record for Any-percent is 18 minutes. So what makes a good speedrunning game? "There is a notion of good and bad speedgames – games that present the right kind of challenge to foster competition between the people who are interested in running it," Dan says. Like some of the most popular games from my youth – Super Metroid, Legend of Zelda: Ocarina of Time, and Super Mario 64. "I think this has a lot to do with the fact that so many people have a nostalgic attachment to the games, and familiarity gives them a frame of reference to appreciate how impressive (or bizarre) the runs are." Dan adds that something about games made during the original push from 2D to 3D makes them more laden with exploits and techniques that offer a more interesting spectacle. And the spectacle is part of the draw. While there are only handfuls of well-known speedrunners, there is a community that loves to watch these masters at work, reverse engineering the games they love and beating them in ways they never imagined. Dan himself only dabbled in actual running, he admits, but he is much more fascinated in just watching the runners work new routes, find new exploits, or master game techniques. 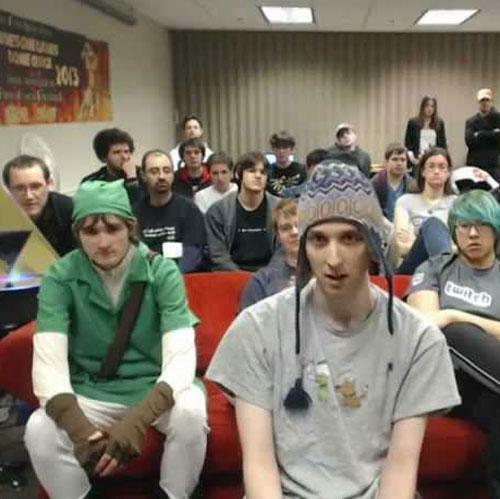 Games Done Quick (GDQ) is a part of the speedrunning community, and GDQ organizes two events each year – Awesome Games Done Quick and Summer Games Done Quick – involving a weeklong Twitch.tv video-streaming marathon of various speedrunners from around the world exercising their craft. Awesome Games Done Quick 2015 ended last month, and "…after 160 hours of speedrunning, the final donation total to the Prevent Cancer Foundation was $1,575,000." Yes, $1.5 million was raised by fans rooting for their favorite runners and watching their favorite games. GDQ has been doing this for several years now, and regarding one particular event, Dan told me about an awesome Legend of Zelda: Ocarina of Time run that showcases not only the cool exploits found in Any-percent runs, but also an awesome overview of why the community and runners are awesome. Donors raised $10k to watch Cosmos Wright perform this Any-percent run, and during it, Cosmos goes over the history of the run and the various discoveries that occurred over a decade of players running the Zelda game. So how about it? Any of you ready to go back to your childhood favorite games and see if you can beat it faster than before? Do you remember watching friends play games in the arcade, and a crowd would form as they got farther than anyone before? Speedrunning rekindles that kind of spectating and also celebrates the games we all love and play, all while building and strengthening the gaming community.